There are a lot of people wishing to have a Yorkie as a home pet but they have not taken the decision yet. There are different ways to get a Yorkie. You can buy one of them but as a last resource. It is better to rescue a Yorkie from the hundred of dog rescue centers in the US. You can help a dog in need and save your money as well. 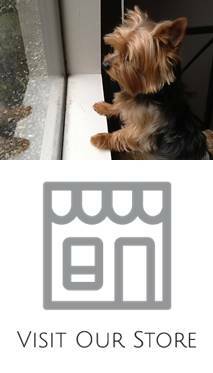 If you decide to buy a Yorkie, please make sure that the are reputable and not simply a “puppy mill”. Puppy mills offer dogs very cheap but they can be sick or with congenital defects and even worse, they do that at the expense of the suffering of thousands of dogs You will not regret a single moment of your decision to have a Yorkie as they are lovable creatures and great personalities. Michelle shares very useful care tips for her girl Khloe. I would love to share my experience with other Yorkie Lovers. These photos and comment a from Marina.